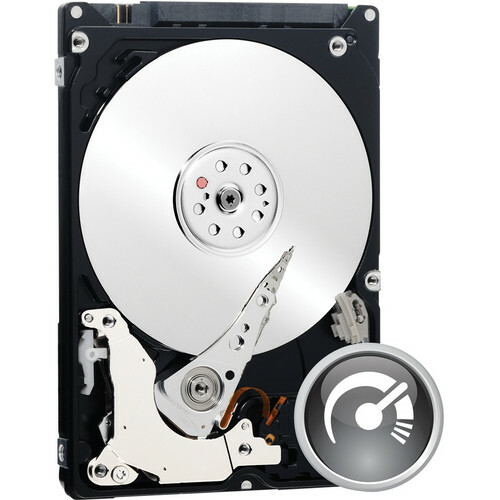 The 750GB WD Black 2.5" SATA 7200 rpm Internal Hard Drive from Datavideo is compatible with the HDR-60, HDR-70, DN-600, and DN-700 Digital Video Recorders, and can store over 400 hours of video. Featuring a spindle speed of 7200 rpm and up to 160 MB/s internal transfer rate, this hard drive delivers high end performance. WD’s dynamic caching algorithm improves performance in real-time by optimizing cache allocation between reads and writes. For example, if there’s an overwhelming percentage of read traffic as opposed to write traffic, the drive automatically allocates more cache for read data, which reduces congestion and improves overall drive performance. Note: The number of hours of video stored depends on the DVR. Please refer to the specifications section for details. Box Dimensions (LxWxH) 4.3 x 3.0 x 0.3"
Will this work with the HDR-50? It is our opinion that it should work. However, we are not able to say so definitely since the HDR-50 is discontinued. We are able to suggest that you consider the Datavideo 320GB SATA 2.5 Spare Hard Drive. That one is confirmed as working with the HDR-50.